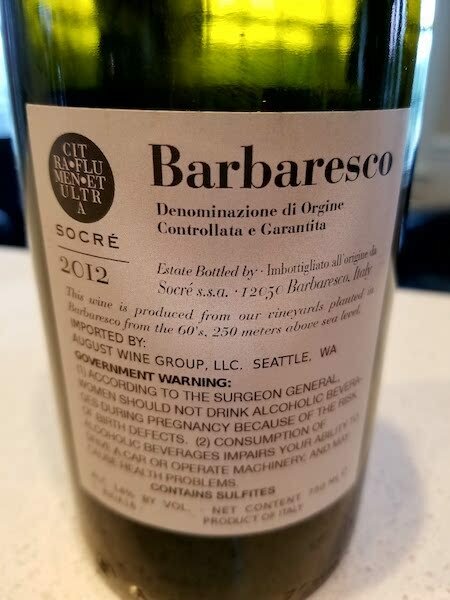 The 2012 Socré Barbaresco: An Italian Queen! I love the Piedmont region of Italy! 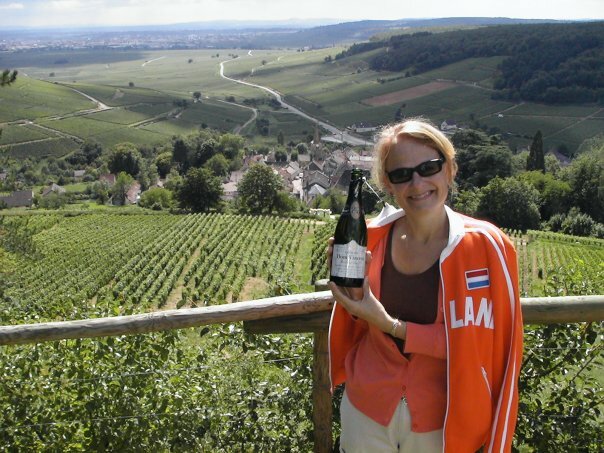 The beautiful landscape and lovely people are added bonuses to the glorious wines found throughout the region. My husband and I were there a few years ago, and we absolutely loved it. 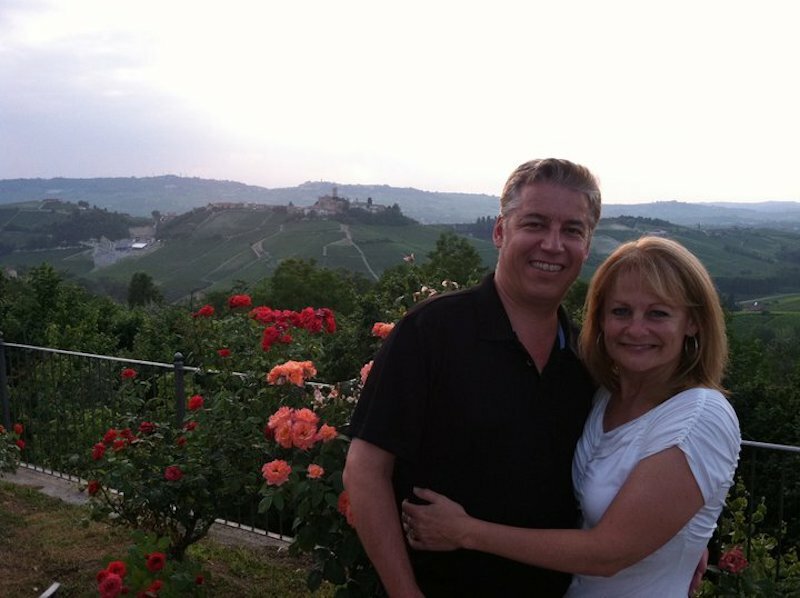 We tasted in many of its regions, but visiting Barolo and Barbaresco was a dream come true! While Barolo is often considered the “King” of Piedmont’s wines, Barbaresco is its “Queen”. Both 100% Nebbiolo, Barbaresco tends to be a bit more graceful and feminine than it’s Barolo counterpart. 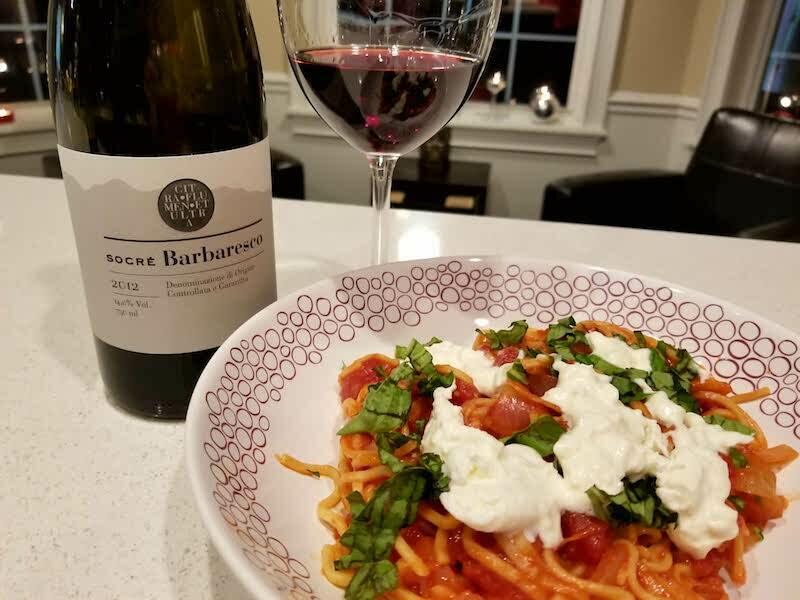 For dinner last night I made fresh spaghetti with marinara sauce and burrata cheese, and I was determined to open a nice Italian red with which to pair it! So I went to our cellar and found a 2012 Socré Barbaresco. I was happy with my decision. The wine has cherry, violet and baking spices on the nose. On the palate are the cherry, cinnamon, licorice and smooth tannins. This Barbaresco is very approachable right now and is nicely balanced. It’s easy to drink and yet complex as well, and paired beautifully with the simple marinara sauce on the pasta. My husband gave me thumbs up on dinner last night, and I give Socré a definite stamp of approval on their 2012 Barbaresco! This pairing was a match made in heaven!